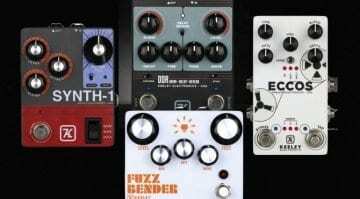 Keeley’s Synth-1 Reverse Attack Fuzz Wave Generator was announced at Winter NAMM and had everyone going gaga over its sweet synth like smooth tones. This pedal is about to hit the stores and the official demo sounds are pretty great. 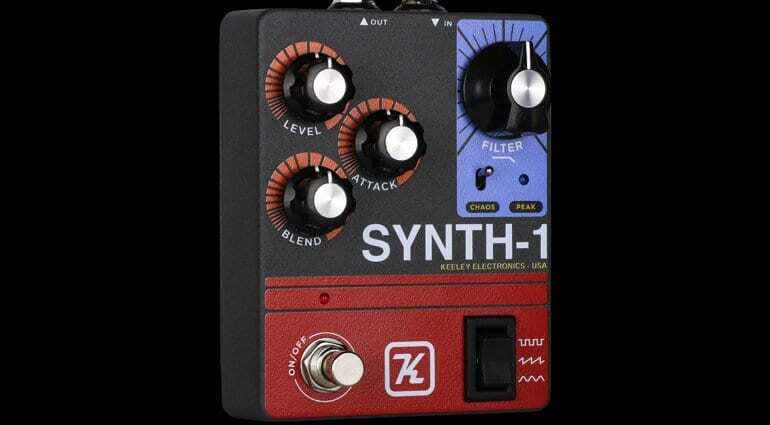 The new Keeley Synth-1 pedal is a single-note wave generator, meaning it is monophonic and turns your guitar signal gets into a fuzzy, synth-like tone. 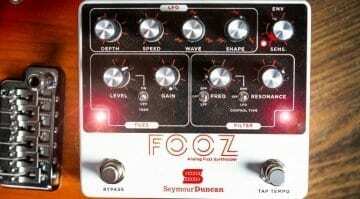 You can control the synth wave tone with the Filter Control, while the Attack control sets the note lead-in time, just like the attack on the ADSR section you seen on synthesizers. 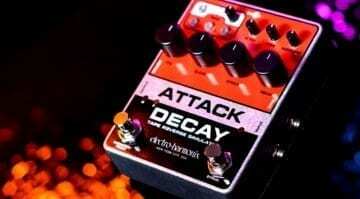 If you increase the Attack time, the volume will swell up gradually. The Chaos Switch sounds interesting and adds in octaves and something that Keeley calls ‘dimensional triggering’. 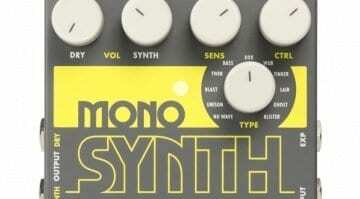 It certainly gives the Synth-1 some more chaotic tones. Hear it in action in the video below. The Peak light just lets you know the signal is passing through the filter section, according to Keeley’s site. The three-way Wave Selector switch can be accessed via your foot and toggles between Square, Saw and Sine waves. The Blend control adds in your guitar’s original signal and Level sets the overall output. The video has some quite fuzzy, octave-y Hendrix-like effects, as well as tones sounding like a mono synth. I like the expression jack input on TRS for control of the Filter. I’m hoping this could give you wah-ish tones. 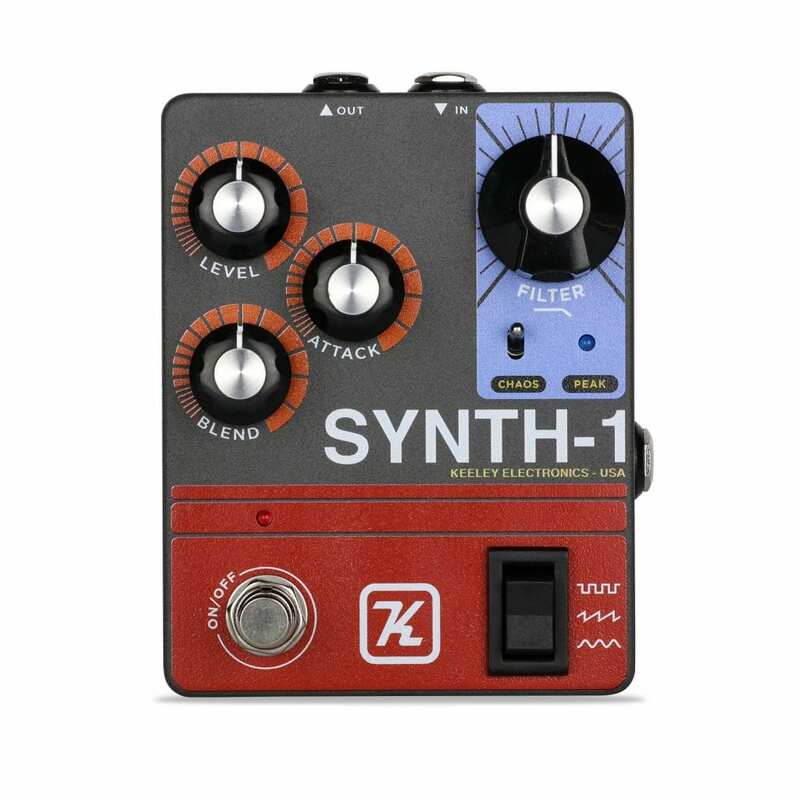 With top mounted Input/Output jacks and true-bypass, this pedal should be a good fit for most pedalboards.